Chu Majek Growshop is listed as "green" at the SeedFinder. This means we absolutely can recommend this seedbank. Btw... 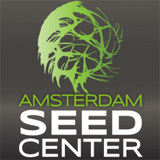 This shop is connected with the SeedFinder, you can find prices and offers for 881 strains at our pages!